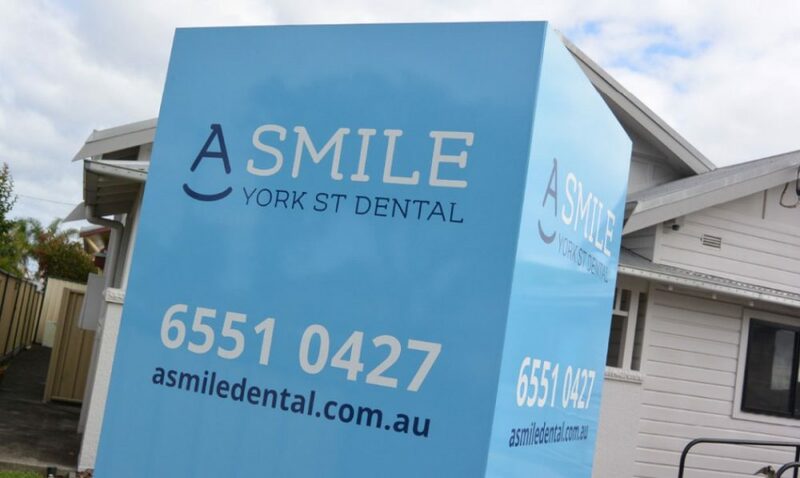 This experienced dentist had been established in the area for a number of years under the employ of another practice, having previously moved to Australia from Germany. The focus here was on technology and customer service… with a smile. It was important to look clean, crisp and professional whilst maintaining a warm and friendly feel. A contemporary light font gives the logo a high tech feel, while its rounded ends and a bracket (smile) under the “A” add warmth. A deep blue and a brighter, lighter blue give it a clean and fresh vibe. 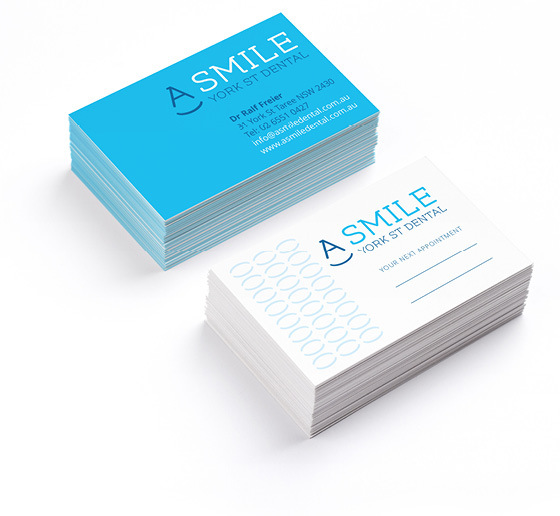 The brand was applied to business cards, signage, advertising and a website. A pattern of “smiles” along with the use of circular shapes gave the brand warmth to balance with the cooler blue palette.